KUALA LUMPUR: The FA of Malaysia (FAM) have been urged to come up with a new set of rules which will require all state and club teams to release their players who are called up for national duty. This follows the problem or rather ‘trend’ where both state and club teams have refused to release their players who have been called up for national duty, apart from other worrying problems in the local football arena of salary arrears issues and question marks surrounding the quality of refereeing which has become hot topics of discussion. Former FAM disciplinary committee chairman, Kamarudin Abdullah explained that this problem will not be resolved as long as the national football governing body do not act firmly in addressing such an issue. While also pointing out that such an issue is embarrassing, Kamarudin said that such a problem seems to show that state and club teams might have a problem with FAM. “State FA’s and club sides don’t seem to respect FAM which is the sport’s governing body in the country. It is an insult to FAM when such issues happen and can’t the country’s football governing body do anything about it? “FAM should be firmer by coming up with new rules obliging each team to release their players who have been called up for centralised training as and when required to do so. “I am very sensitive when it comes to such cases because what’s the use of state FA’s and clubs if not to provide players for the national teams?” He told NSTP Sport yesterday. 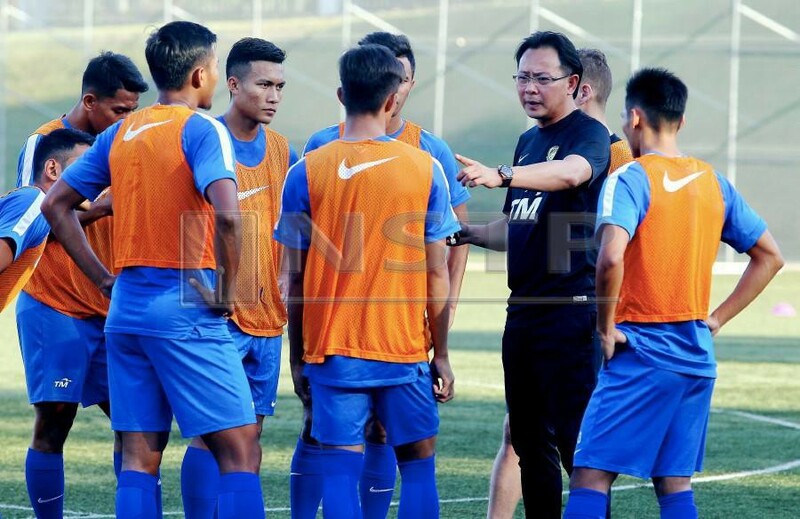 Earlier, five players – Mohd Fadzrul Danel Mohd Nizam (Kedah), Muhammad Danial Amier Norhisham, Muhammad Zahril Azri Zabri (Felda United), Mohd Faisal Abdul Halim (Pahang) and Syahmi Safari (Selangor) – all of whom were called up by national youth coach Ong Kim Swee for the Under-22 (U-22) squad’s centralised training, were supposedly not released by their respective teams. Among the reasons given by the teams are that they are not obliged to release players who are considered to be their key players because the tournament or championship in which the national team will be taking part is not part of Fifa’s official calendar. Hence, Kamarudin said that a new set of rules under FAM is vital in ensuring that all teams comply and duly release their players for national duty, regardless if it is for a tournament or championship that is part of Fifa’s calendar or not. “Let Fifa’s rules be, but really there must be another set of rules under FAM to ensure that all the teams adhere to FAM’s requests, because if not then this problem will never be resolved. “If none of the teams want to release their players for national duty, then how? Don’t tell me we have to put together a makeshift team to compete? For the country’s and national pride’s sake, we must be firm, because it’s not FAM that are taking part in tournaments and championships, but our fellow Malaysians who make up a team that represents the country on the international stage,” he said.